Indian tyre manufacturing giant CEAT Ltd rolled out its latest product, CEAT MILAZE for the high selling Taxi SUV segment. The niche tyre provides an improved life and load carrying capacity along with higher mileage up to the tune of one lakh kilometers. CEAT MILAZE tyres are fabricated from a special functionalized polymer-based compound. The tyre with its unique features like high mileage tread compound and wide circumferential groove increases the longevity and mileage of the tyre and uniformly interacts with the road reducing the noise created due to friction. It has new-generation resistance tread compound and optimised NSD shoulder depth for better tread life. 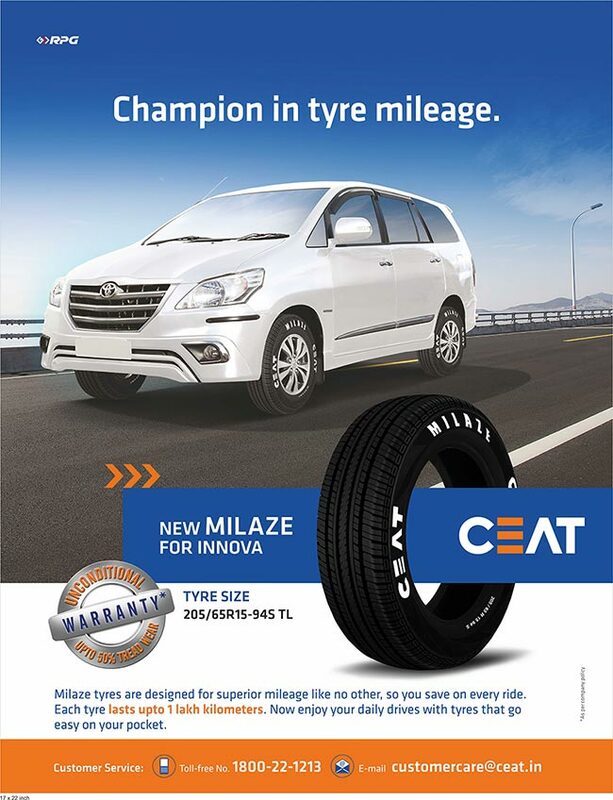 Specifically designed for high selling taxi SUV segment in 205/65R15 size, CEAT MILAZE is now available across India. Manufactured using CEAT’s proprietary rubber compound, the range offers customers the ability to cover maximum distance with minimum weathering. CEAT MILAZE tyres with improved safety features such as robust cavity, rigid tread shoulder block and uniform patch results in more safer and secure drives. With CEAT tyres, we aim in making mobility safer and smarter every day. CEAT MILAZE tyre is a smart step towards catering to the needs of the high selling taxi SUV segment drivers in the country. With its multiple features and benefits, we have received a good response and now we are confident that the new CEAT MILAZE tyres will become the first choice for our customers.